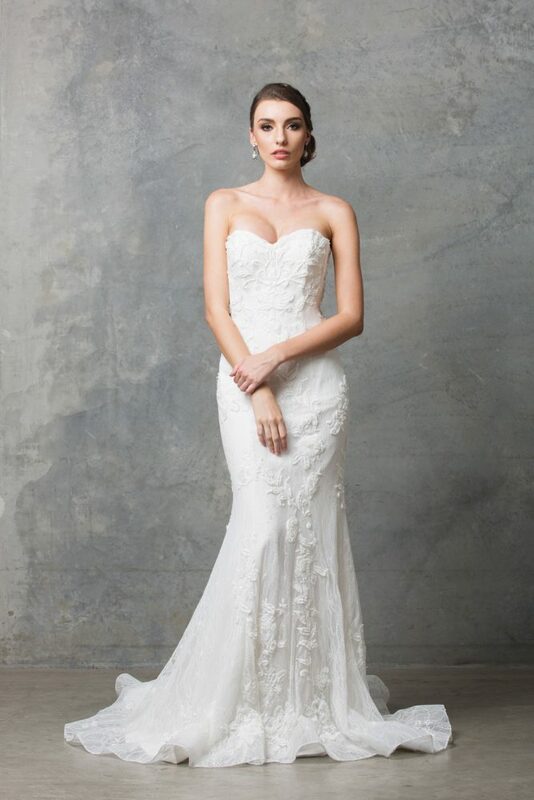 Like a wearable piece of art, the Maci Wedding Dress is for the woman who wants to make a statement in the most captivating, glamorous way. 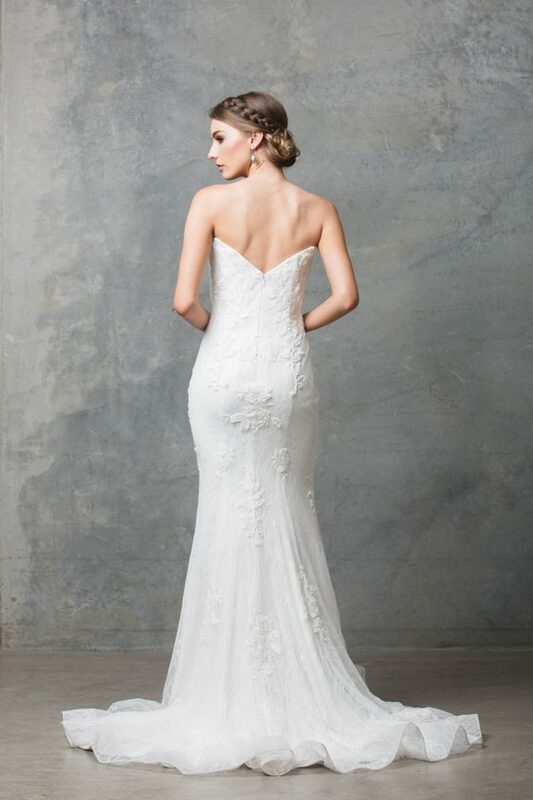 This stunning gown highlights the feminine silhouette before plunging into a dramatic train. The Maci also features a sweetheart neckline, and an open back, exposing the décolletage. Also coming in black, The Maci can be worn as a glamorous formal dress. 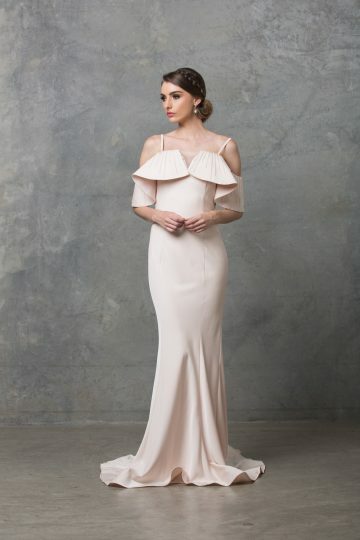 This stunning Maci Wedding Dress was designed for the fashion conscious bride wanting something unique and memorable for her big day. Coming in black, the Maci can also be worn as formal or evening dress. 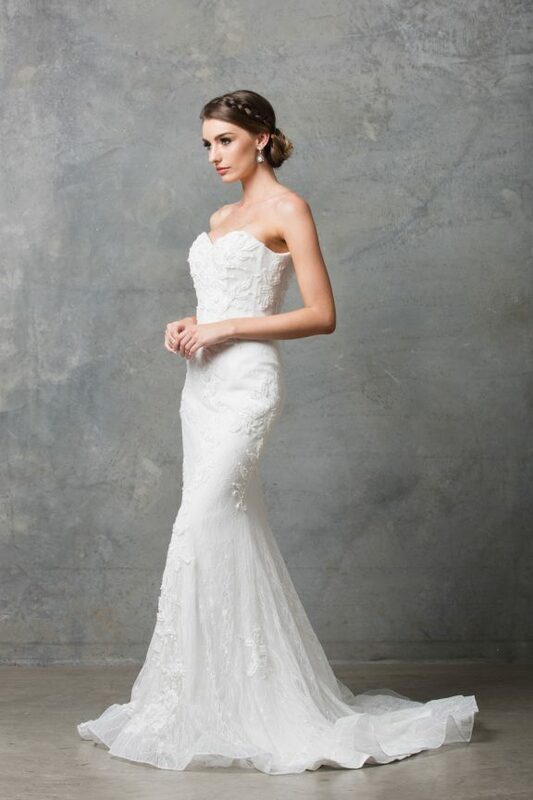 The gowns cut and design is flattering to a variety of shapes and sizes (6-20). To identify your size see your nearest Tania Olsen Designs stockist and they will correctly measure you and assist with selecting your size.